OnGuard takes the management of your Cisco, Avaya, and Genesys deployments to a superior level of efficiency and reliability. Built on decades of expertise and successful customer engagement, OnGuard’s capabilities are unmatched in the industry. OnGuard is a 24×7 purpose built platform that offers state-of-the-art monitoring, management and maintenance support for every Unified Communications, Contact Center, and Video Conferencing solution we deliver. The predictive and proactive capabilities of OnGuard maximizes your uptime resulting in seamless operations and success for your customers at the same time. 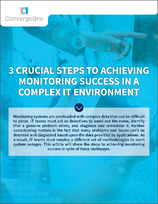 Minimizing the risk of downtime can be achieved through preventive monitoring, which senses and prevents problems in your environment before they occur. A mix of preventive monitoring and the ability to find and resolve problems quickly are essential for keeping your communication and collaboration solutions up and running smoothly. Get the problem before the problem gets you. 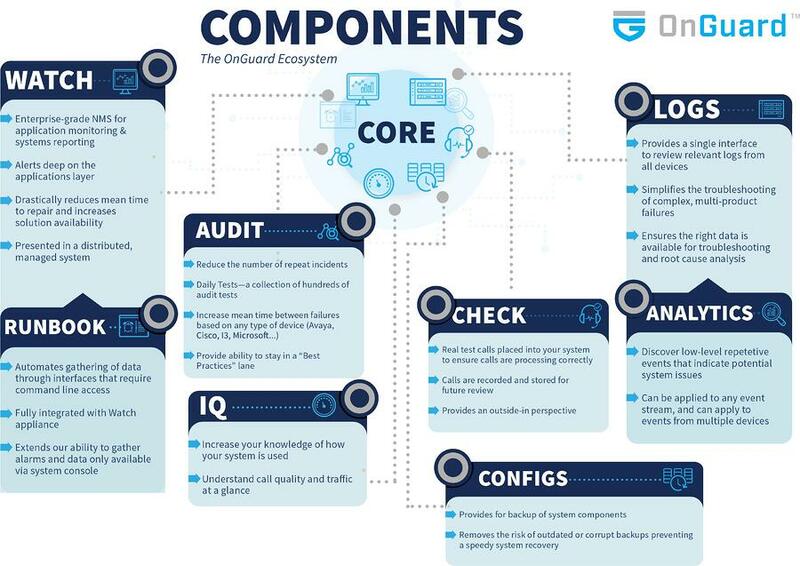 OnGuard monitoring applications deliver an unparalleled level of protection against the inherent support vulnerabilities existing within UC, CC, and Video environments. 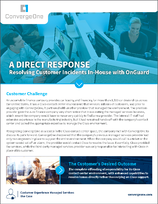 Learn more about OnGuard with a free demonstration today.